American threats to get tough on trade with China won't help solve the crisis over North Korea. That's the clear message from Beijing on Monday as Trump prepares to order a probe into alleged China trade abuses, such as the theft of intellectual property from American firms. "The Korean Peninsula issue and the trade issue belong to two different categories," said Hua Chunying, a spokeswoman for China's Ministry of Foreign Affairs. Repeating previous warnings that a "trade war" between the world's two biggest economies would have no winners, Hua said both countries should work more closely together to find answers. "It's obviously inappropriate to use one issue to pressure the other side on a different issue," she told reporters. After meeting President Xi Jinping in early April, Trump said he would go easier on China on trade in return for help pressuring North Korea to back down on its nuclear weapons program. Despite Beijing's support for tougher U.N. sanctions on Pyongyang, Trump appears to be getting frustrated with the lack of progress. Trump had planned to launch the trade investigation more than a week ago, but he delayed the move in favor of securing China's support for the new sanctions against North Korea, a senior administration official said late Friday. Other U.S. officials have since sought to play down the link between the two issues. 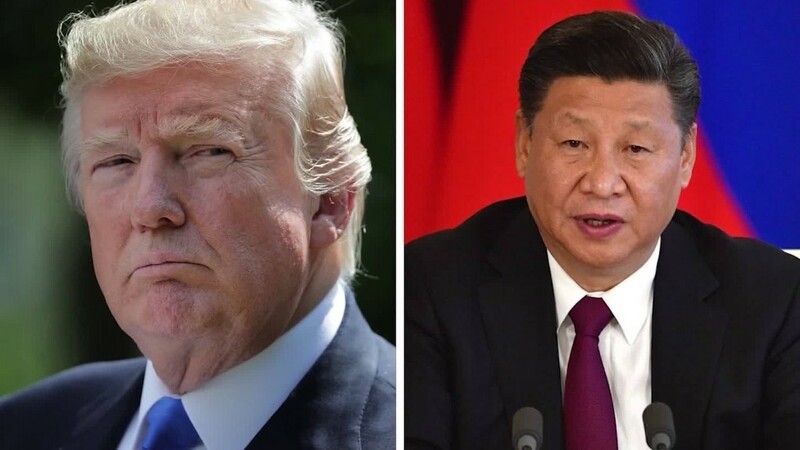 State-run newspaper China Daily said the trade move had to be seen in the light of Trump's apparent disappointment with Beijing over North Korea. It urged the U.S. administration to avoid making "a rash decision it will soon regret." "His idea of exploiting trade as a bargaining chip in dealings with China dates back to the campaign trail," it said in an English-language commentary published on Monday. "But instead of advancing the United States' interests, politicizing trade will only acerbate the country's economic woes, and poison the overall China-U.S. relationship." Separately, the Global Times -- a state-run tabloid that often expresses nationalist views -- reported that the probe could lead to retaliation by Beijing and jeopardize the first fruits of a dialogue that began following the Xi-Trump meeting in April. China has opened up its markets to U.S. beef for the first time since 2003, and Beijing has also agreed to import U.S. rice for the first time ever. "By trying to incriminate Beijing as an accomplice in [North Korea's] nuclear adventure and blame it for a failure that is essentially a failure of all stakeholders, Trump risks making the serious mistake of splitting up the international coalition that is the means to resolve the issue peacefully," the China Daily said in its editorial comment. "Hopefully Trump will find another path. Things will become even more difficult if Beijing and Washington are pitted against each other."